It is in May 1624 that the "Nieu Nederlandt", a ship chartered by the West India Company, arrived in sight of Manhattan Island. The vessel carried about thirty Belgian families: most of them were Walloons accompanied by a few Flemings. The passengers were soon dispersed: after being left on Nut Island (today Governor’s Island), eight men moved quickly to the lower part of Manhattan and erected there a fort - on the site of the present Battery Park. Four couples and eight men were sent to the Delaware River, where they also built a fort (near the present town of Gloucester, New Jersey). Two families and six men were sent to the Fresh River (now Connecticut), where a small fort was built, on the site of the present city of Hartford. About eighteen families remained on the "Nieu Nederlandt" and proceeded up the Hudson. They finally landed near the present city of Albany (capital of the State of New York). Those first steps in the colonization of this territory were actually the follow up of a process that started a century earlier. It is indeed in 1524 that the French expedition led by the Florentine Giovanni Da Verrazzano discovered the New York bay for the first time. King Francis I being at war with Spain, the information was sent to the Record Office. During the next tens of years, the Spaniards were almost the only ones who showed interest for the New World and exploited its resources. In 1555, Charles V abdicated in favor of his son Philip II. His intolerance soon brought the Netherlands in the chaos. The Duke of Alba, sent by the King of Spain, imposed a merciless repression towards the Protestants, in rebellion against the misuses of the Catholic Church. The excesses of the Inquisition leaded to a massive emigration of Walloons and Flemings to the North of the Netherlands, Sweden, England and Germany, to the "Gueux" (beggars) rebellion, and to the secession of the Northern Provinces, which took the name of United-Provinces. The southern Provinces stayed under the yoke of the Spaniards and continued to undergo the pangs of war. In order to avoid any confusion, it is important to know that in the sixteenth century, the Netherlands covered a part of North of France and Lorraine, Belgium, Luxembourg and the present Netherlands. 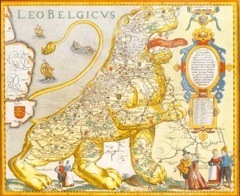 Its inhabitants were called the Belgians, and the maps represented the country in the shape of a lion: the "Leo Belgicus". During the same difficult period, in Antwerp, was born Willem Usselinx. Son of a family active in the spices trading, he was later sent in Spain, Portugal and the Azores Islands for his education. On his return from the Azores in 1591, Usselinx decided to leave Antwerp for Holland. Knowing how much Spain's wealth was coming from the American colonies, he wouldn’t rest until he convinced the Dutchmen to settle colonies in the New World, in order to fight the Spaniards. In 1609, an English sailor named Henri Hudson discovered a great bay with a big river flowing into it from the mountains, at a latitude of forty-one degrees north and a longitude of seventy-four degrees west. Hudson had been entrusted by the Flemings Emmanuel Van Meteren, Judocus Hondius and Petrus Plancius to discover a new passage to the land of Tartars and to China, on behalf of the East-Indies Company. While he was exploring the coasts of America on his ship, luck would have him discover, 85 years after Verrazzano, the territory of the future New York, together with the river who was going to be called after him. Jessé de Forest was one of those Walloons who fled the religious persecutions. Born in Avesnes (Hainault) in 1576, he left his native land and settled in Leyde, Holland. From that time, he moved heaven and earth to obtain the right to emigrate with his own and other Walloon families to the New World. During his stay, he also met English Pilgrims, future passengers of the Mayflower. On February 5, 1621, Jessé de Forest sent a petition, written in French, to Sir Dudley Carleton, ambassador of his Majesty the King of England in The Hague. It applied for permission to settle in Virginia about fifty Walloon and French families. Jessé asked to dispose over a territory of eight English miles radius. 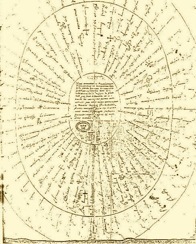 Known as the Round Robin, this document is now preserved in the British Public Record Office. On August 11, 1621, the Virginia Company gave an agreement in principle, but raised some restrictions. The worse one was her refusal to have the settlers dwell together in one autonomous colony. Jessé declined the proposition. 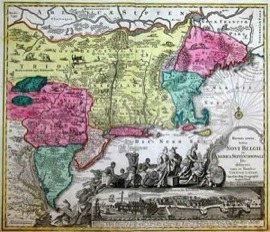 The foundation of the West India Company gave rise to the most clever plan in the Walloon’s mind. Proposing his services and those of his fellow countrymen to the Dutch Company, Jessé informed her that a group of families practicing various trades had the opportunity to emigrate to America, on behalf on the English. Arguing that those colonist should rather be secured for the West India Company, he wished a quick response, adding that it was a take it or leave it offer. The States of Holland, realizing the importance of such an opening for future colonization, immediately consulted the “Bewindhebbers” (Directors) of the Company, who were meeting in The Hague. On August 27, 1622, after years of efforts delivered by Willem Usselinx and Jessé de Forest, the latter finally received the authorization to emigrate with other families to the West-Indies. Left on reconnaissance for the coasts of Guyana in 1623, Jessé de Forest died on the Oyapok River bank (present borderline between Brazil and French Guyana), on October 22, 1624. His daughter Rachel and his sons Isaac and Henri joined New-Belgium ten years later. 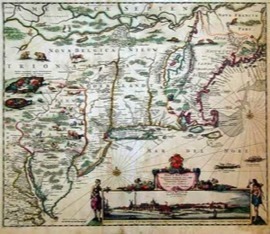 From 1615, the region between Virginia and New-England was equally named New-Belgium (Novum Belgium, Novo Belgio, Nova Belgica, Novi Belgii) or New-Netherland. The name of Belgium refered to the ancient Netherland, which covered a good part of the North of France and Lorraine, Belgium, Luxembourg and the present Netherland. Its inhabitants were called the Belgians. Besides, numerous maps from the sixteenth century showed this territory under the name of Belgium. The latter falled into disuse for the benefit of the Netherland, and only reappeared in 1789 on the occasion of the first Belgian revolution. Several seals of this period remind us that the territories surrounding the future New York were called New-Belgium. 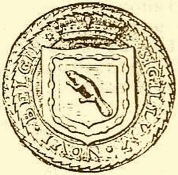 A first seal from 1623, bears a beaver - at the time, the trappers were almost the only ones to exploit the country -, encircled by the words "Sigillum Novi Belgii". 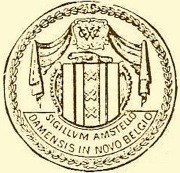 The seal of the New-Amsterdam from 1654 mention "Sigillum Amstellodamensis in Novo Belgio". In 1626, Pierre Minuit, governor of New-Belgium, became famous by the purchase of Manhattan Island. He bought it from the Manhattes Indians in exchange for glittering beads and other trinkets. The total value was about sixty guilders or $ 24. Pierre Minuit was a Walloon, born in Wesel (Rheinland). His parents, from Tournai (Hainault), had settled there in 1581 in order to flee the religious persecutions . Himself will become deacon of the Walloon Church. Willing to defend the colonists interests, he also distinguished himself by the respect shown to those of the Indians. In his opinion, the harmonious mix and integration of two cultures - even apparently opposed - was preferable to the pure and simple throwing out of the weakest or so-called less civilized one. Besides, tolerance was not particularly the strong point of the West India Company. Feudal organization, the latter enforced a series of strict rules for all colonists wishing to emigrate to New-Belgium: apart from public worship of the reformed religion, the settlers were required to make exclusive use of the Low-German - the language from which Flemish and Dutch are originated - in every public act of the colony. A lot of family names got a Dutch “camouflage”, like Rapalje for Rapaille or Minnewit for Minuit. Other colonists were simply called by the name of the Dutch city they just left. The American historian Charles W. Baird, in his book “History of the Huguenot Emigration to America”, qualified this type of abuse as "Batavian disguise". The settlers were also forbidden to weave wool or linen, make cloth or any other textile, at the risk of being banished or prosecuted as perjurers. The secret aim was to protect the monopoly for the imports from Holland. The kindly and protective attitude of Pierre Minuit towards the settlers, and the covetousness of a Director from the Dutch company who wanted to impose his nephew as a governor, made that he was called back in 1632. The trails of the Walloons and Flemish people in New York are numerous and often unknown: the Gowanus Bay for instance, west of Brooklyn, is named after Owanus, Latin translation of Ohain, a village in Walloon Brabant. The Wallabout Bay, north of Brooklyn, is a deformation of the Dutch "Waal bocht" (Walloon Bay). The name Hoboken, well known district west of Manhattan, comes from a municipality near Antwerp, Flanders. Communipaw, in Jersey City, is the contraction of Community of Pauw. Michel De Pauw, native of Ghent in Flanders, had also bought Staten Island from the Indians in 1630. 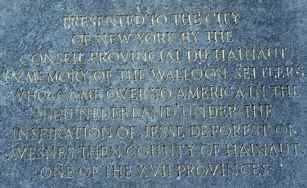 On May 20, 1924, for the tercentenary of the founding of New York, a monument was erected in honor of the Walloon settlers, on the site of Battery Park, in the southern part of Manhattan. A 50 cents silver coin, commemorating the tercentenary of the arrival of the Walloons was also put into circulation at the same time. The government of the United States paid also homage to the first settlers with the issuing of 1, 2 and 5 cents postage stamps. People may ask oneself why the real circumstances wrapping the foundation of New York remain, even today, almost unknown in the present Belgium. The schoolbooks and history books are dumb about the subject. In 2000, "Génies en herbe" (Green genius), a game organized by the RTBF (Belgian French-speaking Radio and Television) between different schools, asked to the candidates who was the founder of New York. The supposedly good answer was... Peter Stuyvesant. An answer who teaches a lot about the oblivion into which the ancestors of the participants... and organizers are fallen! This oblivion can be explained in different ways. There is one who seems plausible: the founders of New York being Walloons and Flemish Protestants, Belgium being catholic, and the teaching having been for a long time influenced by the Catholic Church, one may assume that the latter deliberately occulted this period of our history. After three hundred and eighty-five years, the Walloon and Flemish settlers doesn’t seem to have gained the forgiveness of the Catholic Church.